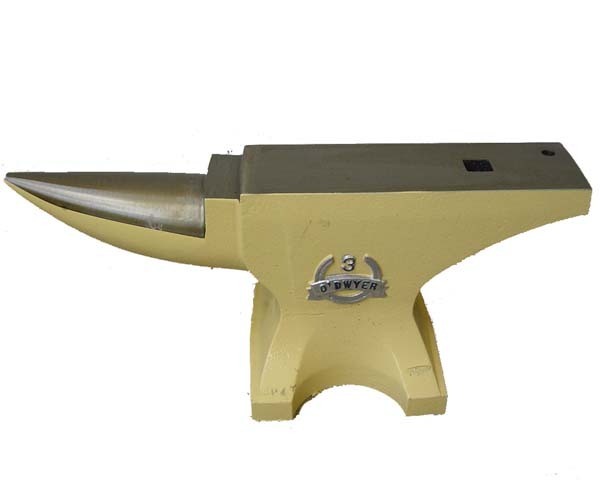 please note, we do not keep much of a range of anvils in stock, we usually have them in next day for pre pay orders. 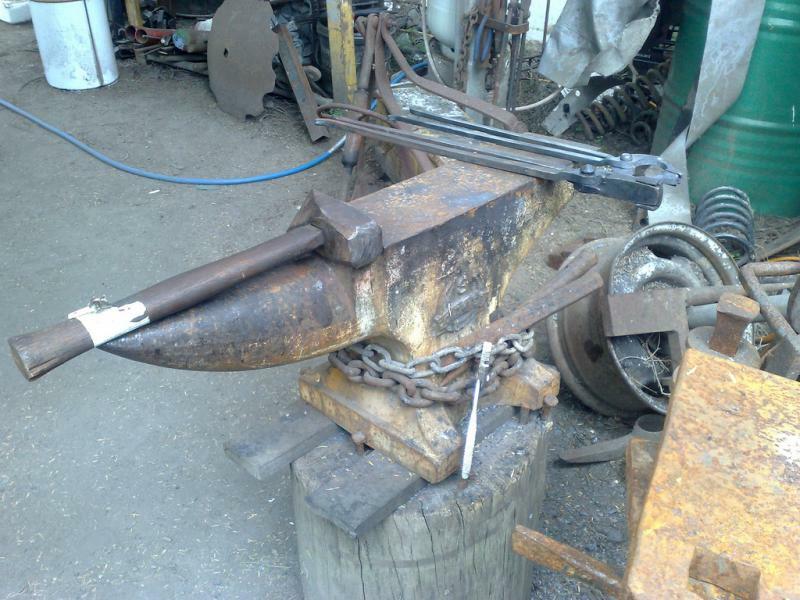 Years ago, Odwyer ran some soft face anvils, this is no longer the case. 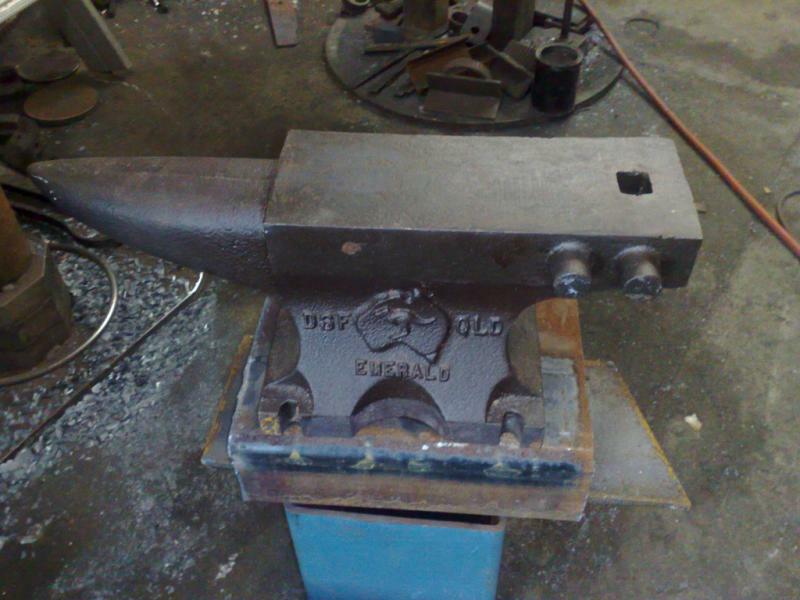 We have found them to be a very durable cast tool steel anvil, nicely finnished. As for the soft face versions that maybe floating around, i have had one since the 90's, and found it to serve well in all applications, as well as easily repairable.. Unfortunately they stopped producing these a year or two ago..and i am unable to obtain new stock any longer. A 95kg is about $850.00 delivered to Brisbane, and the 45kg about $550.00. Swedge blocks, for the small quarter size, 10-50kg, can start from 200-300 etc and on upwards from there. 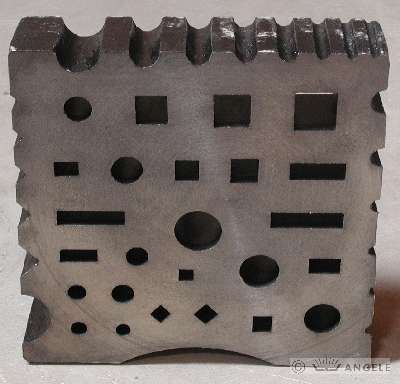 3-5lb blocks with one, two, or four shapes can start from around $100.00. 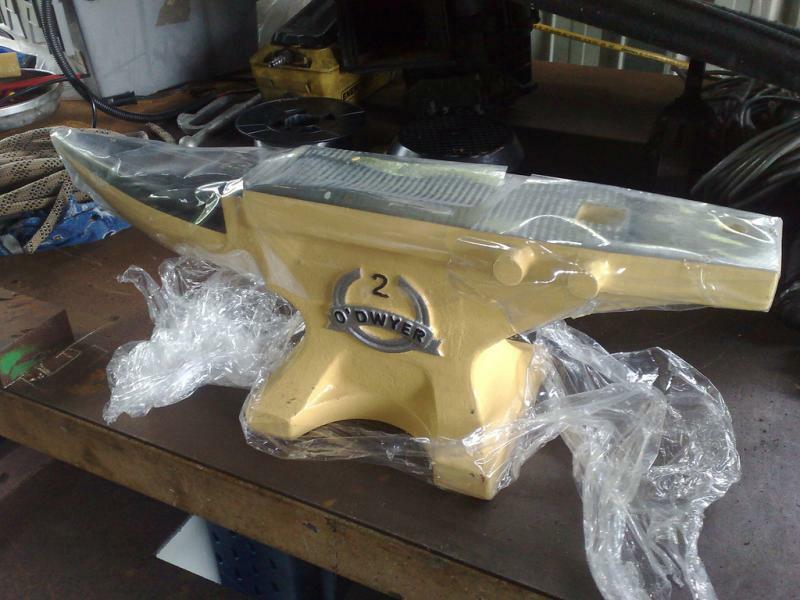 hole and swage plate, Brand new. for horizontal or vertical use. brought from germany about $1,750.00 and freight is about $750.00 this includes their VAT (tax) and about 2-3 weeks for transport. **Please note** Price changes happen, sometimes without my being aware of them till I order again. Prices listed on this site are correct at the time of adjustment, please contact us to confirm a price and or stock availability. 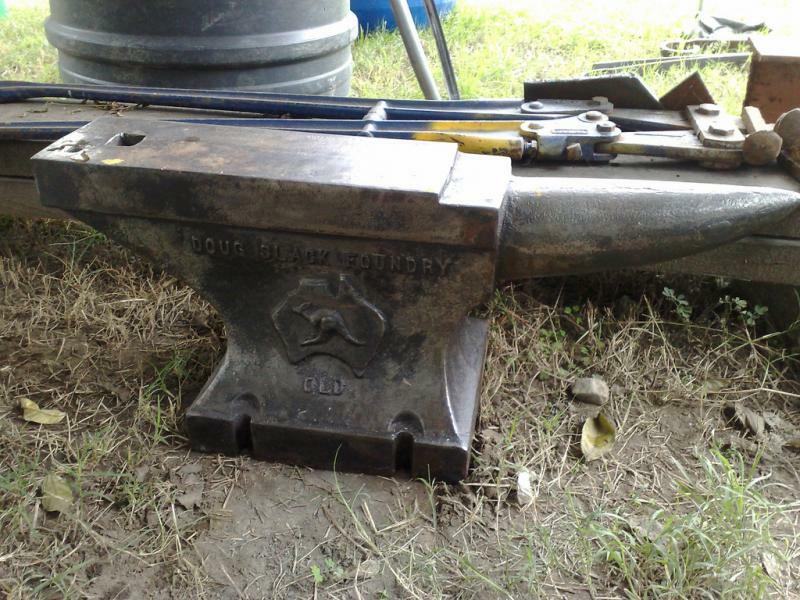 Flatter forged, steel handled $120.00 made to order and 1 in stock. mini block for tong making, collaring, and jigging. These can have a hardy stem welded to them easily.